The number of women availing of routine cervical screening offered by CervicalCheck has remained steady – and even increased in certain instances – despite concerns that publicity about the scandal would turn women away from the free tests, new figures reveal. The take-up of routine BreastCheck appointments by women who can avail of a free mammogram every two years has also not fallen. Figures obtained by the Irish Independent for CervicalCheck, which has a target coverage rate of 80pc of eligible women, show that up to the end of May it was at 79.8pc. Revelations that most of 209 women who developed cervical cancer after getting a wrong smear test result were not told of an internal audit of their case were rarely out of the news that month. It followed the April court case involving Vicky Phelan, the Limerick mother of two who disclosed the scandal. Women are invited for cervical screening every three or five years, depending on their age. 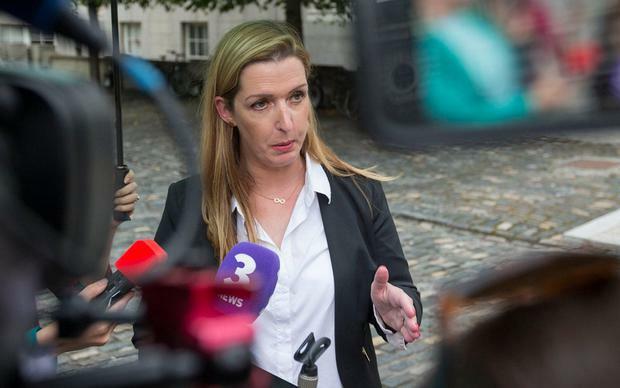 A spokeswoman for the HSE said that neither CervicalCheck nor BreastCheck collate or publish information on a monthly or periodic manner. In CervicalCheck, it is usual practice to measure programme coverage, rather than uptake, as an indicator of how well the programme is reaching the population. The CervicalCheck programme reports five-year coverage and the target is 80pc and the most recent figures available – up to the end of May – this year show coverage at 79.8pc. She said that in BreastCheck, where uptake is measured, the target is 70pc. “Because women receive two opportunities for breast screening, the programme does not usually measure uptake until at least six months have elapsed since the woman’s first invitation,” she said. The CervicalCheck figures for routine screening are separate to those for women who took up the offer of additional tests offered in the wake of the scandal. The figures will reassure women who developed cervical cancer, such as Ms Phelan, and have been at the forefront of calls for an inquiry into various aspects of CervicalCheck, including the standards of the laboratories used by the service. A scoping inquiry report by Dr Gabriel Scally will look at various aspects of the labs, including how they are governed and monitored, as well as their rate of false negatives where women are given an incorrect test result. But it will be early next year before a separate in-depth analysis of the slides of women is completed by experts from the UK.